Use our interactive map below to get more information about some of our attractions. Restaurant and pub meals available. Explore the shipwright's cottage and take a moment of reflection in St Mary's Chapel. Once a hive of shipbuilding activity, the high street has beautiful views over the Beaulieu River. 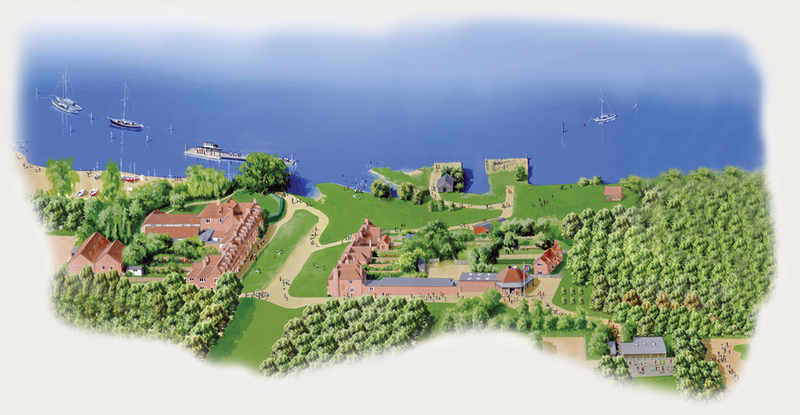 From Easter to the end of October take a tranquil trip on the Beaulieu River. See where ships for Nelson's Navy were launched. Learn about the history of the village, including the fascinating stories of the ships built here for Nelson's Navy. Built in 2014 using traditional 18th century methods, and tools as part of a project to keep historic shipbuilding skills alive. This woodland shows you many of the tree species that were used to build Nelson’s fleet. Main entrance, tea rooms and gift shop.